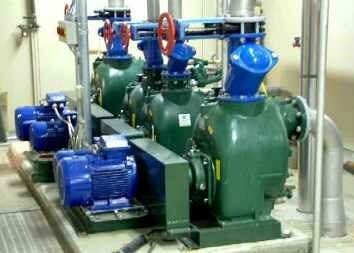 Your pumps are expected to keep up with the ever-increasing demands on your municipality. Keep your operations running smoothly with a trash pump that delivers extreme performance as well as the reliability you need. Our comprehensive line includes centrifugal trash pumps for lift station, sewage treatment and water treatment applications. A trailer-mounted Pioneer pumpset with diesel engine meets EPA requirements for lift station backup. It’s also more reliable and convenient than generator backup, which doesn’t help if the problem is with the trash pump. Maintaining consistent water pressure of 40–60 psi, Pioneer trash pumps still perform efficiently, using less energy to do more work. Pioneer Prime offers high flow of up to 18,000US GPM (4000m3/hr) and heads to 700+ feet (210m) with vacuum-assisted dry priming and run-dry capability, providing the highest outputs of any company in the self-priming trash pump market. Our superior PosiValve™ sealing and priming system runs dry indefinitely, and prevents leakage and carryover while offering unparalleled reliability. Heavy-duty ductile iron body construction (with other metallurgies available) and stainless steel impellers ensure a long trash pump life. Heavy-duty, high-efficiency pumps with large impeller eye areas provide some of the lowest NPSHr in the trash pump industry — whether it’s solids or clear liquids handling.